I am on the edge of my proverbial seat in await of the festivities to begin. 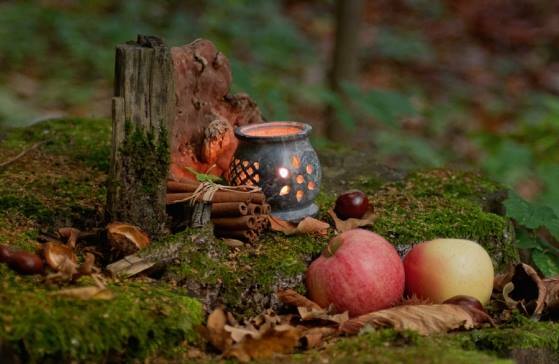 I am focusing on the Halloween aspect tonight and then devoting tomorrow night to Samhain. I can hardly wait! This is the best holiday EVER!! I am so excited about Samhain. It will be my first Sabbat since becoming Wiccan. 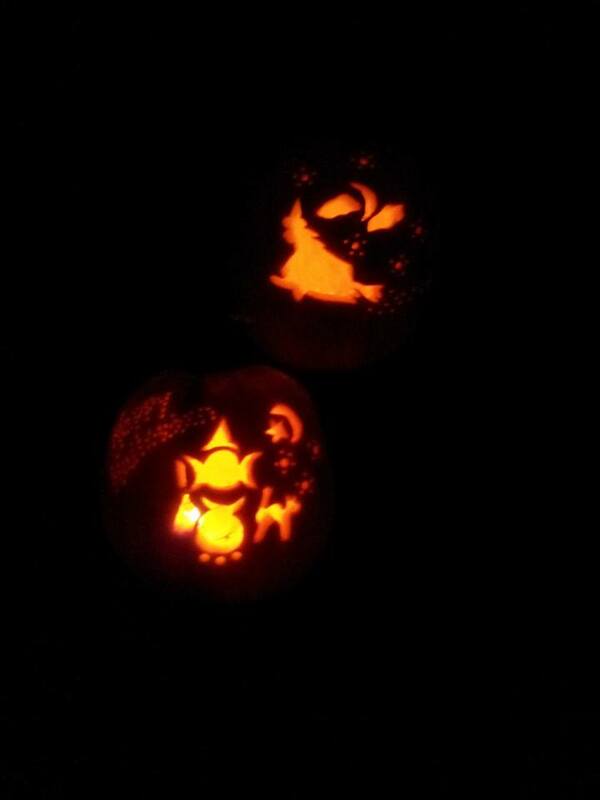 As you can see (hopefully) we have incorporated some Wiccan symbols into one of the pumpkins. I love them. 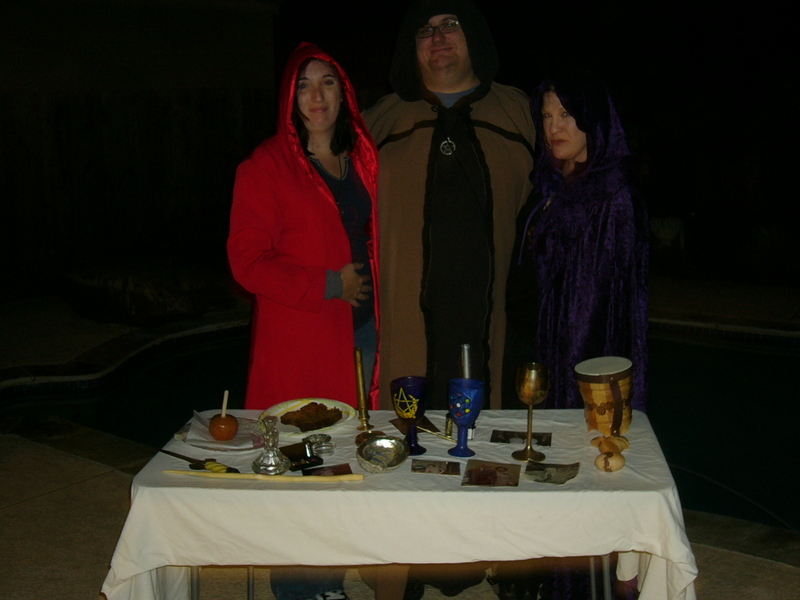 Here are a couple of pictures of Samhain with dear friends from 2009 and an alter pic from 2010. I am looking forward to this year’s celebration! Are you wearing the red robe or the purple one? It’s so cool you have friends to practice Wicca with. Thank you for the pictures. Blessed Be! Hi Sherry and thank you. I’m in the purple robe. We are fortunate. We are more eclectic. We also practice a good bit of High Magik. 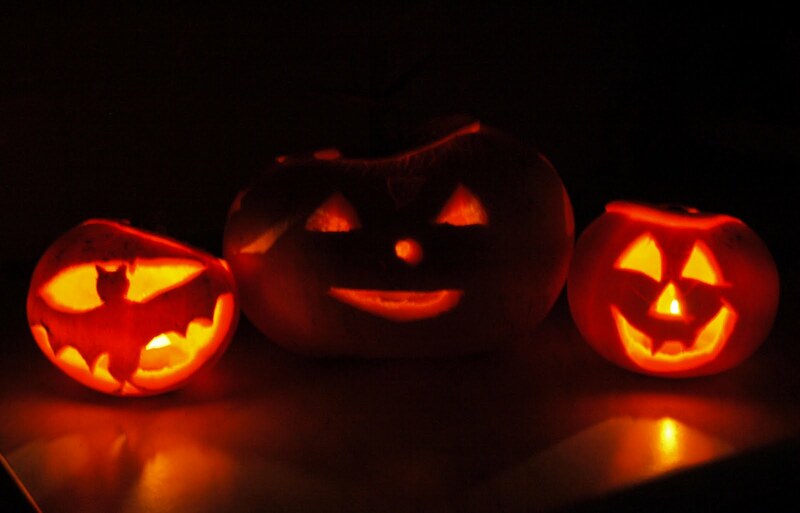 Looking forward to Samhain this year! 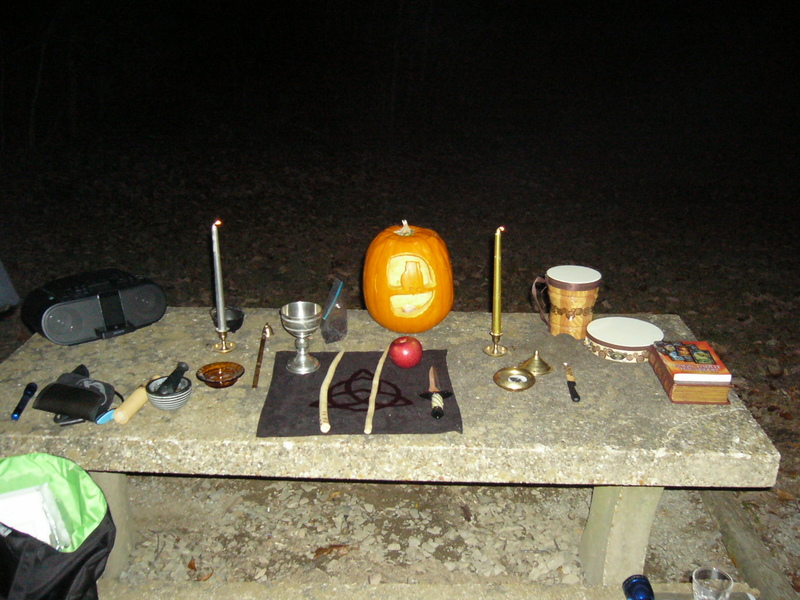 Here’s a video of a lovely Samhain altar on 2011, enjoy!